← Thanksgiving eve in the shop…. Yesterday was Dan and Rachel Weseman’s “Black Friday” party, which is a day long celebration of freedom at our airpark. 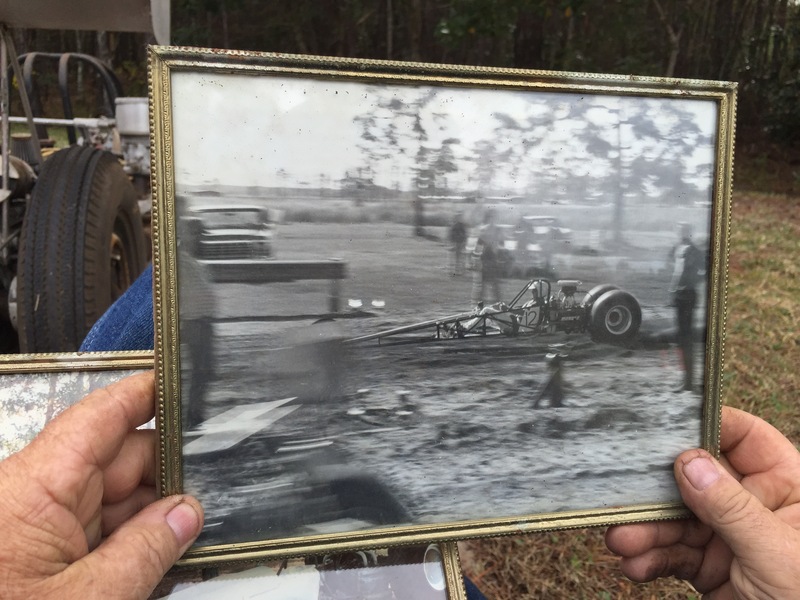 Our side kick and neighbor Vern Stevenson took the occasion to give his Corvair powered sand dragster, which he hand crafted in 1980, to Dan and Rachel’s sons. 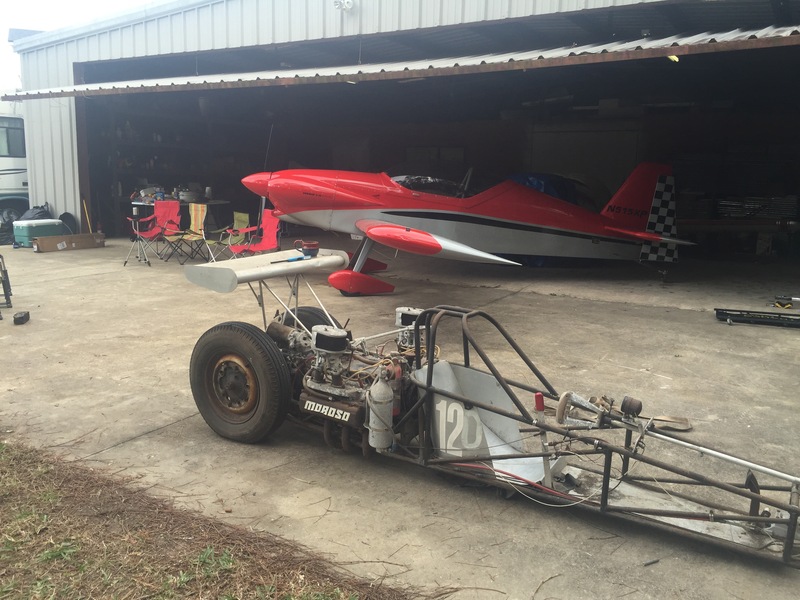 They plan on putting in back in action at our town’s 1/8 mile community drag strip. It should prove to be a great learning tool for them, and an important example of the generosity of spirt that some people make the centerpiece of their lives. Above, Vern’s hands hold a photo of him launching in 1980. Sand drags are only 100 yards, a mere 300′, but with an exceptional power to weight ratio and paddle tires, this can be covered in 2.3 seconds with a terminal velocity in the 85 mph range. Yes, that is launching on loose sand. In the photo, Vern is 28, today he is 64. Stop and look at your own craftsmanship on your plane and ask yourself if you can imaging giving it to a young person 36 years from now. Things that you make with your own hands are far more important to the quality of your own life than anything someone could buy. The dragster, dusty from 25 years of storage, was moved across the runway to take up residence with another Corvair Powered vehicle, Dan’s Panther Prototype, now powered with a 3.3 liter engine and propped to hit 180mph turning 3,500 rpm. The dragster has a 2,700cc Corvair fed by 2 two barrel Del’ortos, set to turn 7,000 rpm. It has a reversed VW transaxle with live 3″ axle through the differential case. it only uses 2 gears. The narrow tires are just for transport. Every bit of this was made from raw materials, to his own design by Vern. It was highly successful and very competitive. It had only one issue: In the early 1980s a friend showed Vern what a Weed Hopper ultralight was, and started his long addiction to ultralights and experimentals, and all of Vern’s ground based adventures kind of fell by the wayside. Has it turned 3500rpm and hit 180. Also, are the RV3 guys upset. Joe, it did it yesterday.